GetTaxi, known best for allowing users to hail a taxi whenever the urge takes, has today announced that it’s changing its name to Gett and will be launching a range of new services in the coming months. Looking to expand beyond transportation, the company’s new name (which is already its name in the US) broadens the scope of the services it can offer. It said that in the coming months, Gett users will be able to summon up food, beauty treatments and home services via its platform. 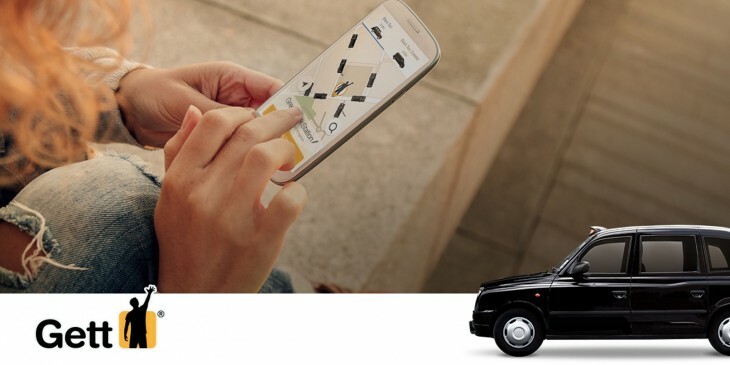 “Gett is expanding into new verticals — think Gett Pizza, Gett Sushi, Gett Grocery, Gett Wine, Gett Flowers, Gett Dry Cleaning and Gett Plumber — while of course keeping our popular Gett BlackTaxi with a ‘no surge’ promise and a ‘100% black cab’ guarantee in London as a core of the business,” Gett’s CEO Shahar Waiser said. The shift has been underway for the last 12 months, according to Waiser, and will come to fruition with the first new vertical set to launch in July this year. Slightly irritatingly, Gett isn’t saying what the first new market will be, but if it follows other similar moves from companies like Uber, food will be pretty near the top of the list.